"This long march to freedom and justice. This is not then the time for us Europeans to become less open, less tolerant, more selfish or materialistic..."
If only we could all be like him. As Richard rightly points out that a Greek default is a matter of when, not if and the likely European consequences of a Greek default make for very sober reading economically and politically. There are no good options at this point, which is reflected in the fact that the British media and most UK MPs are all doing their hardest to pretend that it's not too much to worry about (with the added exception now of an opportunistic Labour party who resides in opposition). And EU politicians are too busy panicking and bickering. 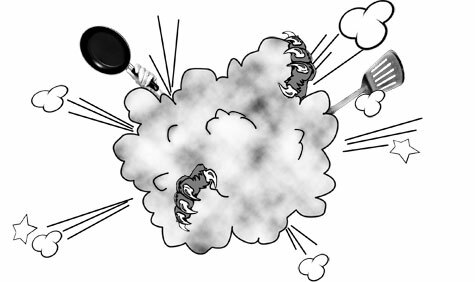 A bit like the brazen bull; there's lots of noise and heat and the outcome is inevitable - can we just get it over and done with? It reminds me of the famous story from the Korean war where 600 British were under attack from 10,000 Chinese soldiers, and the British brigadier; Thomas Brodie reported to the American Commander that the situation was "a bit sticky, things are pretty sticky down there" i.e. hurry up with them reinforcements - now! Needless to say to the Americans the phrase; "a bit sticky" didn't quite have the same urgency. World football's governing body has been plunged deeper into crisis after its ethics committee widened a bribery investigation to include Sepp Blatter. The Fifa president will appear in front of the ethics committee on Sunday with Mohamed bin Hammam, his Qatari rival, who is accused of offering cash bribes, and Jack Warner, the Concacaf president who has clung to a pivotal role at Fifa for 28 years despite a string of alleged scandals. ...this battle of the Fifa presidential election is turning out to be very messy indeed and Jack "the clown" Warner (corrupter-in-chief) has had further allegations made against him. I suspect though despite it all Blatter will win the election on Wednesday unopposed- such is democracy within Fifa, (I wonder if Cameron regrets this). in relation to any Agency Activity. Luton Town was bankrupt but admitted its guilt, QPR is owned by billionaires and lied to cover up its guilt, one was given a "smack on the wrist" fine and the other was deducted 10 points - no prizes for guessing which punishment went to which club. The worst apathy though is the fans. We all know that the organisations of the FA, UEFA and FIFA stinks but the reaction that presides most of all is a shrug of the shoulders. If Blatter wins on Wednesday there will be some indignation but little else - ultimately he will be President because he can. Your club run by crooks? Run by more crooks? And by even more crooks? Managed by fascists? As long as the team keeps winning, and you get your tickets for the World Cup in Brazil in 2018 then no-one cares. That's how they get away with it. And on a bigger scale that's how the EU gets away with it - apathy. From midnight tonight, the Privacy and Electronic Communications (EC Directive) (Amendment) Regulations 2011 comes into force. This amends the 2003 Regulation and enhances the powers of the Information Commissioner particularly regarding internet cookies. 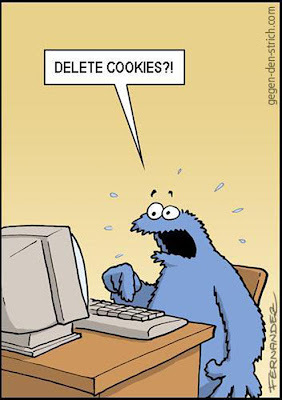 The amendments require companies and website owners to gain explicit permission before setting a cookie on an internet user’s computer. Failure to abide by this Directive could lead to a fine of up to £500,000 for a serious breach. This amendment has been controversial for a number of reasons. Firstly there's the catch-22 situation. When visiting a site a message will appear; "do you consent to cookies from this site". If you click 'no' the website cannot leave a cookie to remember your response so when clicking on a second page on the site, another pop-up window will appear requesting your consent again - and this will happen continually until you consent. Shopping online with EU websites, as a consequence, will become an unpleasant and intrusive experience, which leads onto the second point. These rules will not apply to non-EU sites, making them more of an attractive experience and putting EU sites at a commercial disadvantage, not least also because of the additional over-heads of complying with the rules. "...a good example of a well-meaning regulation that will be very difficult to make work in practice." "I am not a big fan of regulation." "...it is so important for us to adopt a flexible approach"
"...a one size fits all solution will not cover everything"
DCMS looks forward to continuing its close collaboration with the ICO and other stakeholders on the development of appropriate technical solutions to this challenging and difficult provision. We remain firmly convinced that the UK implementation is correct that it is good for business, good for consumers and addresses in a proportionate and pragmatic way the concerns of citizens with regard their personal data online. "...there will be no immediate changes to how UK websites operate as a result of new EU rules". ...the cookie consent laws will not be enforced immediately, information commissioner Christopher Graham said on Wednesday. "We're giving businesses and organisations up to one year to get their house in order," Graham said in a statement. "This does not let everyone off the hook. Those who choose to do nothing will have their lack of action taken into account when we begin formal enforcement of the rules." We therefore only have a year's respite before the EU Directive is implemented, and in many cases it will be implemented earlier. So an unelected bureaucracy issues laws that are then implement by an unelected quango in the UK regardless of the wishes or concerns of the elected representative, to the detriment of British business. Therein lies the state of British democracy. "I'll Do Anything To Survive"
For 11 years Sepp Blatter has been President of FIFA and he has not achieved that without dubious practices - his tenure has consistently been dogged by allegations of corruption. For almost a decade, in order to hold on to power at FIFA, Blatter has without question relied on Jack Warner to provide 35 votes that he controls in the Caribbean and North and Central America. In return Blatter has turned a blind eye to Warner being able to make himself, and his family, millionaires; plundering football in his region and FIFA itself. One of Fifa's most senior executives could profit by more than £10m from World Cup ticket sales in a scandal that will horrify supporters and raise fears that some senior officials ­ and individuals within sponsor companies ­ are exploiting their positions to milk the tournament for personal gain. In a move that has caused outrage in Trinidad & Tobago, who face England in the group stage, the Caribbean nation's entire ticket allocation has been allocated to a travel agency owned by Jack Warner, a Fifa vice-president who is also the president of CONCACAF and a special advisor to the Trinidad & Tobago FA. Fifa presidential candidate Mohamed Bin Hammam and vice president Jack Warner have denied wrongdoing after Fifa opened disciplinary proceedings against them following bribery allegations. Blatter is up to his eyeballs in this stuff and I don't believe that Jack Warner will let this go without a fight. Cue the popcorn. "We have no true freedom of speech when people can be jailed for complaining about their problems. This country seems to have a penchant for covering up problems that would be discussed openly in others. Florence Bellone, a Belgian journalist, recorded an interview with Carol Hughes and Lucille O’Regan in Ireland, which was broadcast on RTBF in Belgium. 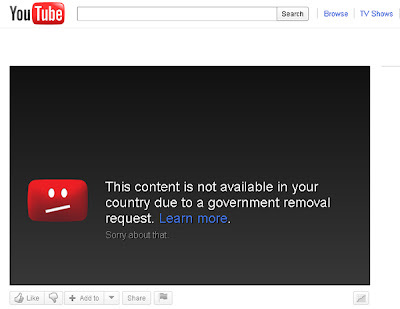 A copy was placed on YouTube, but access in the UK is now blocked as a result of what YouTube calls a “government request”. What can be so frightening about that interview that people in the UK are not allowed to see it, but it can be broadcast in Belgium?" And sure enough, trying to access the relevant video, titled "Please take me home" prompts the message pictured above. There is fortunately another version available which has yet to be censored, so we can see what the fuss is about, or not. As Hemming rightly asks what's so frightening about the interview - it's nearly all in French anyway (although there is a rough translation in the comments below). Not only that but Hemming himself is featured in the video, so our Government is censoring videos to ensure that we cannot see or hear our own elected representatives being interviewed. It's another example of the "Ryan Giggs effect" - I wouldn't have bothered searching for or watching the video if it hadn't been subjected to a "Government removal request" and it's wonderful how illiterate governments are when it comes to the internet. Not only can we download the version available and keep uploading it as fast as it's taken down, but a simple use of a proxy server website by-passes the restrictions in seconds. ...by attempting to put a wrecking ball through Mark Reckless' anti-Euro bailout motion today, the Tory Government's amendment replaces the word "requires" with "urges". Despite that the Euro is doomed, that the eurozone contagion is spreading to Spain and Italy the so-called Eurosceptic Tories want to throw more of our money down the drain. Oh and as an aside our public borrowing is the worst on record. Finally, Mr Giggs has been named in parliament as the footballer who has an injunction against Big Brother (how ironic) wannabe contestant Imogen Thomas. As I've blogged before, and like many others, I couldn't care less about Mr Giggs' personal life, but I do care that his actions have led to the possibility of journalist Giles Coren being arrested in secret, tried in secret (without a jury) and jailed in secret - for the first time in British history. Oh what a wonderful mess the European inspired Human Rights Act has made of our justice system. Local elections were last week. Nearly all of the results were announced by last Friday evening. The news that UKIP won, for the first time, control of a Town council - Ramsey in North Cambridgshire - was also known on Friday - a fact ignored by the MSM. And it's taken until today for the BBC to acknowledge that fact - a week later - the news hidden away on its website and hidden away even more on its TV Ceefax service. It's so blatant in its bias it doesn't even care. As I'm sure many of my readers are aware, Blogger has had some technical difficulties over the last 24 hours which now appear to be mostly resolved. However as a result - so far - comments have been lost on some of my posts. Apologies. ... all this will be yours. The summer hasn't even started yet, but the Greeks are on (another) general strike, and the government is even flogging off the tea towels in a bid to avoid default. This is NOT going to succeed, and we are not insulated from it, any more than we are from the growing crisis in Ireland, or the impending disaster in Portugal. Even the fanatical pro- EU Financial Times is saying that "Greece and Portugal should go gracefully" (page now unavailable). Marinas, casinos and former Olympic venues could be up for grabs after Greece announced a massive fire sale to help service its debt. Let's not beat around the bush here; Greece is fucked - people's lives and jobs are at stake here. Greece desperately needs to leave the Euro - which is inevitable, the longer this charade goes on the worse it will be. All that prevents this inevitability is the EU political elite 'saving face'. Fans of David Schneider, the comedian and actor, have taken to Twitter to complain about the star's silence on the social networking site. He is often used by BBC radio as a "talking head", giving his opinion on Twitter developments. His fans have taken to Twitter to complain about the silence: "Hey @davidschneider have been missing your comedy – seems like you have been chained to your desk recently! ", said one. "Looks like @davidschneider hasn't tweeted for a few days now, he must have his hands full"
EUOBSERVER / BRUSSELS - With EU personalities over the weekend speaking out on the occasion of Schuman Day, Robert Schuman himself, an early architect of the Union, has hit a hurdle on his way to becoming a Roman Catholic saint due to the lack of a miracle...the Vatican has been enquiring into his eligibility for 21 years. But despite abundant material testifying to his piety and good works, the Schuman dossier has hit a major stumbling block. "I even asked him [Pope John Paul II] myself on this point ... and he answered clearly that in the case of a politician, it is necessary to proceed with great rigour and to demand a miracle," Pierre Raffin, the Bishop of Metz, wrote in a letter in 2004 forwarded to EUobserver by his office. Despite the Vatican using the Euro, it is not in the EU because it is an absolute monarch therefore not democratic enough to be eligible to join (no really don't laugh). However that doesn't stop the EU wanting said absolute monarch to give one of their supposed founding fathers special status: sainthood. When asked if the situation had changed under Pope Benedict XVI or if any new information had come to light, a contact in the Vatican's embassy to the EU in Brussels said: "We are still waiting for a miracle. One miracle is required for beatification and two for sainthood." I can think of one miracle - that the EU has lasted so long. 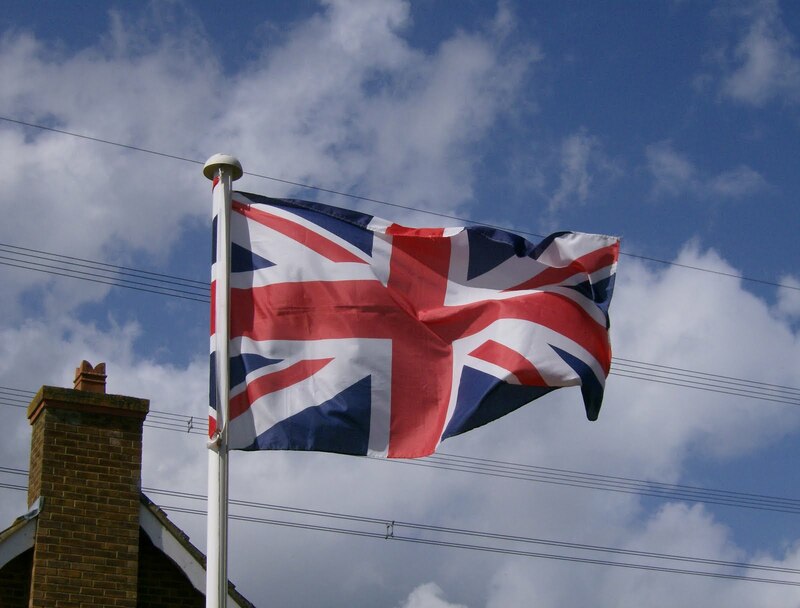 I have a flag pole in my garden of which I've taken a picture today. 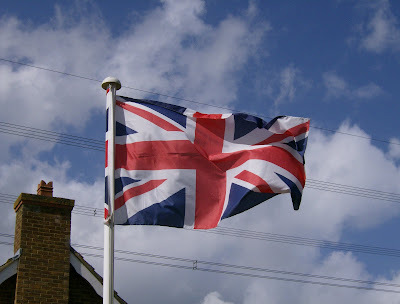 I bought it for the 2006 World Cup, but I also use it to fly the Union flag on the official dates. Today is one such day and I can assure my readers that the 'mistake' is quite deliberate. The press have got themselves in a lather over the release of information on twitter of some of the names behind the recent super-injunctions. I don't really care what z-listed celebrities get up to in their private lives, but I do care about a free press. Not having a free press leads to this and this. Most of the information on that twitter account appears largely correct - the Spanish press have already named the footballer. However Clarkson doesn't have an injunction for the reasons stated. Given that the press have been dropping clues all over the place - for example this odd article from yesterday's Mail on Sunday about Hugh Bonneville - most of the information is probably common knowledge now anyway. Of course Parliament could do something about judges effectively writing a privacy law, but, apart from a couple of notable exceptions, I wouldn't hold your breath. A serving MP may have taken out a super-injunction preventing details of their activities being exposed, it was disclosed today. The revelation came in the Commons as MPs discussed future Parliamentary business - including whether to debate creeping judge-made privacy laws and the spiralling use of gagging orders. As soon as I find out who they are, I'm naming them. I've just visited my local polling station and for the first time ever I've voted for myself (for District Council)- a slightly surreal experience. Regarding the AV referendum, I was in two minds right up until the last minute of whether to refuse the ballot paper or spoil it with an EU referendum message. I decided on the former - mainly because any messages on spoiled papers will get ignored; a lower turnout sends a better message. The chap at the polling station got a little irritated by my request, he tried to insist that I had to take it (no I don't). 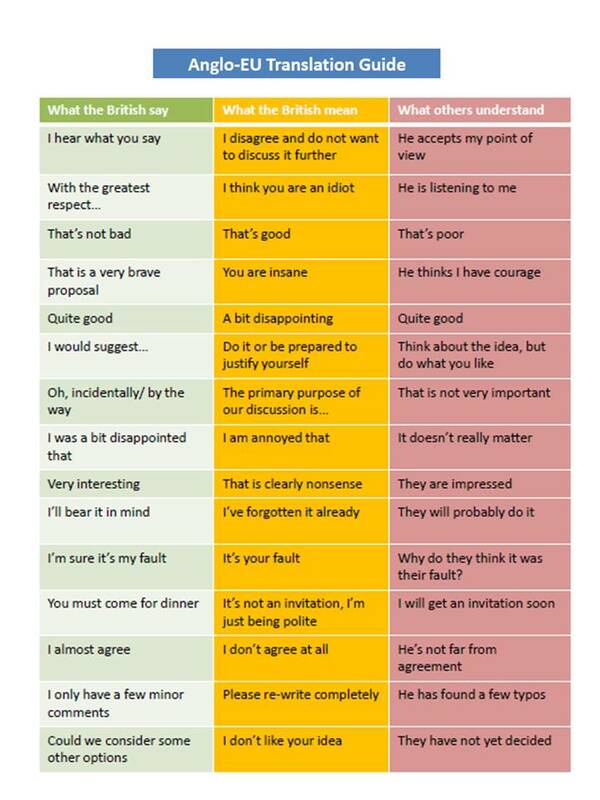 Anyway the upshot is that I haven't partaken in the referendum. NB. Out of interest, I checked with the Electoral Commission before posting a photo of my ballot paper on line. Apparently, it is legal to do so if you vote by post. But not if you vote in a polling booth. It's unlawful to publish information about what happens in a polling booth. We are committed to a referendum on the voting system for the House of Commons. An independent commission on voting systems will be appointed early to recommend a proportional alternative to the first-past-the-post system. A marvelous lesson in casual political cynicism. A Case about Bird Flu highlights a poll by Allensbach which shows that 67% of Germans now have little or no trust in the EU, indicating a dramatic loss of confidence in the project, and only a minority believe that the eurozone stability fund will save the euro currency. Under European Union rules that come into force on Sunday, May 1, Germany will open its doors fully to jobseekers from Poland and other Eastern European nations for the first time, paving the way for a flood of cut-price carpenters, plumbers and other budget labour of the kind that swept Britain in 2004. However, with German trade unions predicting that up to a million Poles may arrive in the first year alone, not everyone feels like welcoming the new arrivals from the other side of the River Oder. Now Germany's moratorium is expiring - just as the global recession and last summer's Eurozone crash mean severe cuts in health, social service and welfare budgets in Europe's biggest economy. That has fuelled a German swing against immigration in general, and a growing sense that a people which has long supported the EU project no longer gets a fair deal. There was also rare criticism of Mrs Merkel from a senior member of her own centre-right party, Erika Steinbach, who warned that the CDU was seen as too left-wing on immigration, and that a charismatic politician could easily peel off voters to a new hard-right party. Another renegade ex-CDU member, Rene Stadtkewitz, has already announced the creation of a right-wing Freedom Party similar to that of Geert Wilders in Holland. Success for such a party would mark a decisive break with Germany's post war-liberal consensus, in which memories of Nazism have often inhibited frank discussion on nationalist issues. It's all very well promoting the ideal of abolishing something as intrinsically important to the human condition as the nation state, but all that happens is it strongly provokes the very reaction you're trying to abolish.